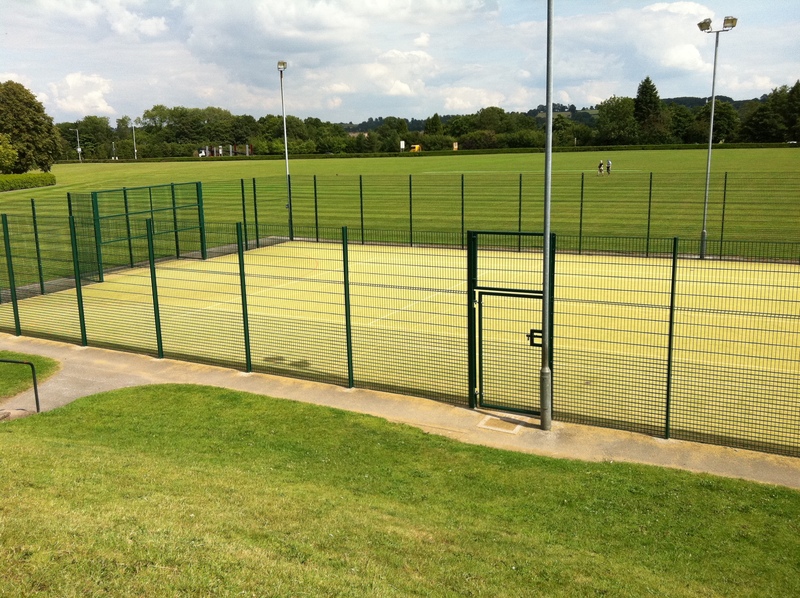 When having a specialist sports facility installed it’s recommended to consider having hockey pitch fencing included as part of the process, whether it’s for a school, college, club or leisure centre. This can help to protect the area and make sure it is secure when it’s being used and when not in use. Having a perimeter fence around a sports field also reduces the chance of equipment like balls being lost during play. 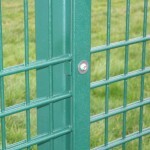 We are able to supply and install fences in many designs to suit a wide range of facilities. Please fill in our contact form to speak with an expert about all of these products and our costs for installing them. There are plenty of designs to choose from so we’ll help you find the perfect specifications for your organisation. 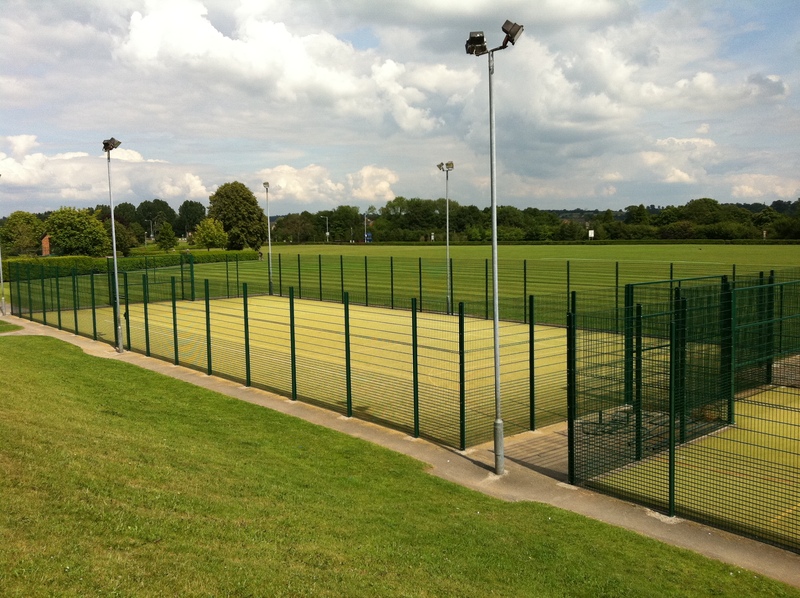 We offer a variety of fencing that can help turn your pitch into a state of the art sports facility, the most popular sports fence option being the super rebound fencing. 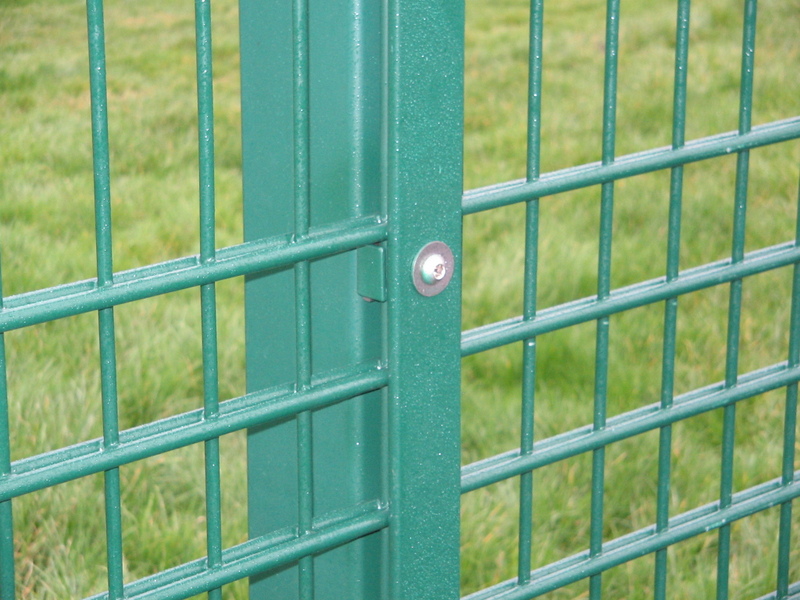 This type of sports fencing is made of a double 8mm steel wire that horizontally crosses the width of the fence, there is then a 6mm wire going vertically to create separate panels. 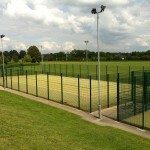 This hockey pitch fencing is extremely durable and provides maximum impact absorption and longevity for the facility. 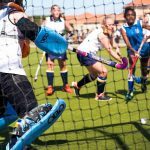 However as hockey will not necessarily test the strength of the fence through impact, other options are available such as the standard rebound fencing and chain linked fencing. These specifications will still offer the sports surface security from people that may want to vandalise your hockey pitch and it’ll also ensure that no balls will be lost through playing the sport. We offer hockey pitch fencing on a variety of different heights, ranging from 3 meters, 4 meters and 5 meters, the most popular of which is 3 meters high. 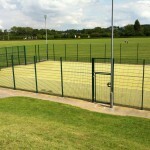 Hockey surfaces fencing costs will vary depending mainly on the size of the facility and the use it will get. 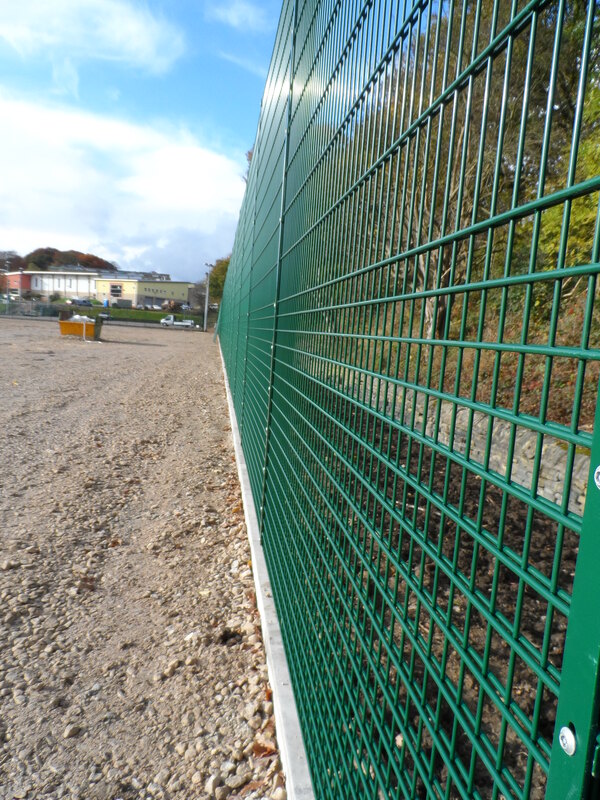 As the fence specification is priced in metres, the larger the perimeter of the sports facility the more costly it’ll be to install fencing. 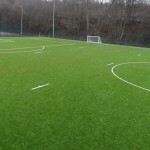 We offer a selection of suitable options to keep the costs to a minimum, although these options may not be as durable if the surface is used for other sports such as football, it still offers the security and makes sure that no balls are lost during play. Also with the installation of a secure gate system, it’ll decrease the chances of any vandalism that could greatly cost the institution in repairs and maintenance. The different specifications of fencing we offer will vary in price and you can also change the height of the fencing depending on the sports you’re going to be using the surface for. 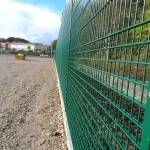 However with hockey pitch surfaces, installing a tall fence isn’t particularly a necessity so decreasing the height of the fencing could be a good way to cut costs if the surface is only being used for a single sport rather than as an all purpose area. 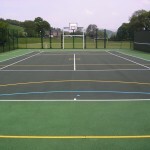 We aim to offer the best quality product and services at the best price to ensure that our customers have an excellent all round sports facility which is safe for players and can be enjoyed for a long time. Please send us your details through our contact form if you need more information of secure rebound fencing for an outdoor facility and we’ll get back to you with more information in regard to designs and quotes for your project.